Most moped light bulbs are standard automotive bulbs. Most bulbs are made in 6 volt or 12 volt versions, But finding 6V bulbs is difficult since all cars are 12V since the 1970’s. In all of these magneto/generator powered head lights, a 12 volt bulb will replace a 6 volt one, but won’t be as bright. ELB194 12V 3w 194 10mm wedge Everglo n.a. These bulbs have little nubs on the base. You push in and rotate clockwise to install. 6V8W 6V 8w $2.00 for Cateye turn sig. 12V32cp 12V 32cp 1073 $1.50 12V 20w approx. 2-filament kinds conduct through the shell, like most bulbs. for most 1950’s car’s turn/brake/tail light. Obsolete. 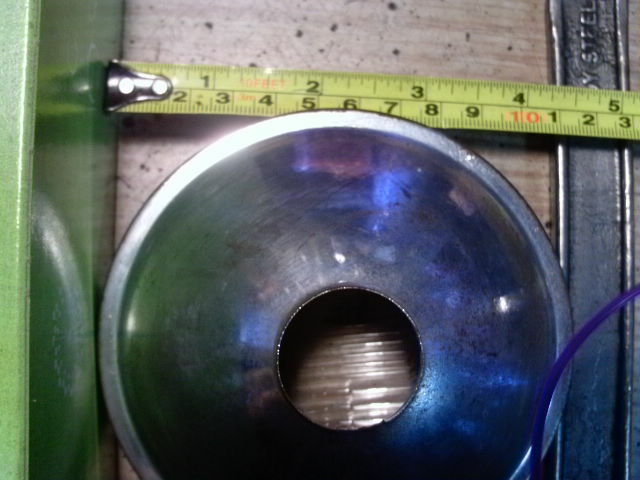 1-filament kinds do not conduct through the metal shell. These are all for head lights, for higher power and precise focus. 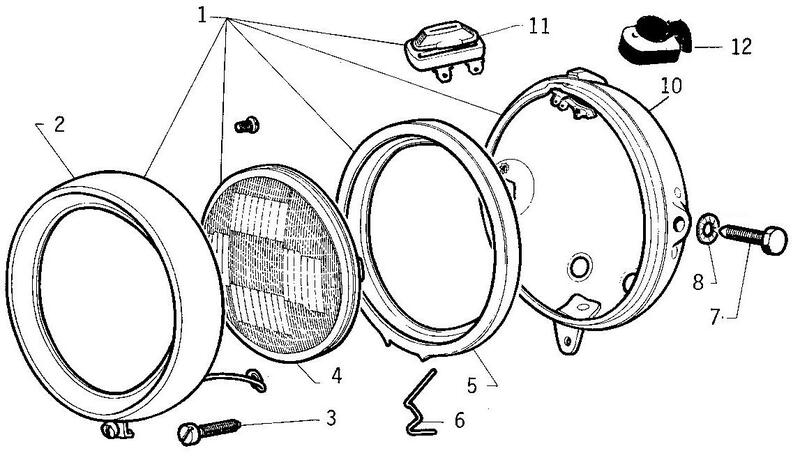 Sealed beam means the entire glass lens in front and mirror reflector in back, are evacuated of air. The bulb cannot be replaced without replacing the whole glass. Moped 4.5 inch round head lights, sealed beam or non-sealed, interchange with some tractor lights, auto and motorcycle fog lights, forklift, golf cart, and utility vehicle lights. There are even clear plastic 4.5″ round 12V landscaping lights that can interchange. To use a 4667-1, the connectors can be removed from the 2- or 3- prong plug. Non-sealed headlights means the bulb is not sealed in. It can be removed and replaced without replacing the whole glass, at a much lower cost. These headlights take automotive bulbs with a BA15s base. Bulbs with this base have about a 20 watt rating. That matches the headlight power output of most mopeds. There are two main bulb choices, #1156 (12V 21W) and #1129 (6V 18W), and also 6V 21W. The bulbs are for car turn signals. The #1156 is sold in every US auto parts store and in some convenience stores. 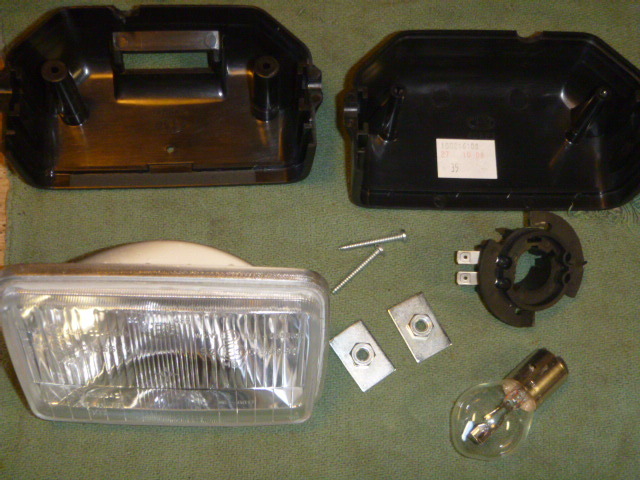 There are also other less common bulbs with this base that interchange, including LED versions. Takes a #1156 or #1129 bulb, or any with BA15s base. Luxor, ULO, Taiwan headlights have different w-clips. See below. For 6V DC battery power, or 15 to 20 watt 6V AC generator power. For 12V DC battery power, or 15 to 20 watt 12V AC generator power. #1156 12V 21W bulbs are easy to get at USA auto stores. 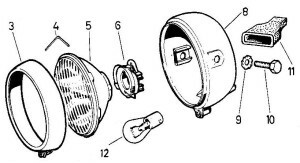 12V bulb (temp. substitute) works in a 6V system, but is dimmer. 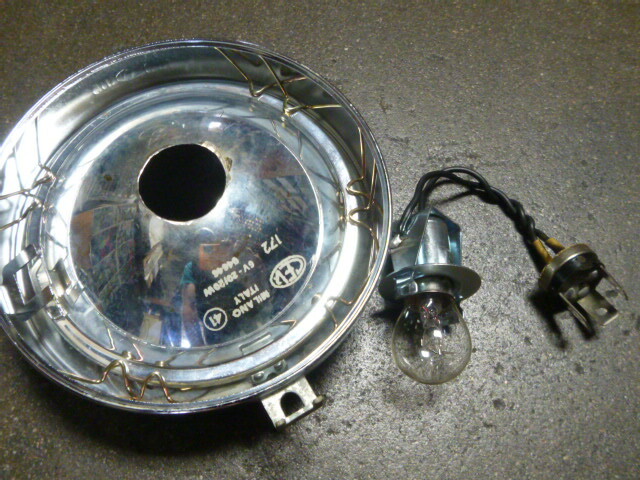 Bulb socket snaps onto metal back reflector. This is offered in single filament only, for three reasons. 1) The socket requires a bulb with equal nubs. 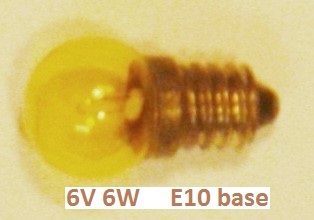 Common dual filament USA auto bulbs have unequal nubs and unequal filaments. 2) Most moped generators require about 20 watts for each filament. There are 21/5 watt dual filament, but on a generator-powered moped that would quickly burn out the 5W filament, because the generator makes 20 watts. The generator watts must match the total bulb watts, or there will be an under or over-voltage. 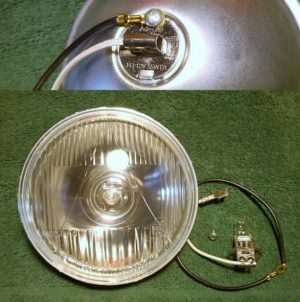 A 5 watt headlight would get super bright from an over-voltage, and soon burn out, in a few minutes. 3) There are plenty of automotive dual filament headlight bulbs, but they have too many watts and the wrong type of socket. For 6V DC battery power, or 20 to 25 watt 6V AC generator power. For 6V DC battery power, or 25 to 35 watt 6V AC generator power. For 12V DC battery power, or 20 to 25 watt 12V AC generator power. For 12V DC battery power, or 30 to 35 watt 12V AC generator power. For 12V DC battery power, or 45 to 55 watt 12V AC generator power. 12V 55W H3 bulbs are easy to get at USA auto stores. Bulb socket screws onto metal back reflector. This headlight is for mopeds with stronger generators, or motorcycles with moped-size 4.5″ headlights. The bulb is a halogen type. They run hot and require the glass to be clean and free of fingerprints. This conversion/upgrade is a service procedure, not a part replacement. 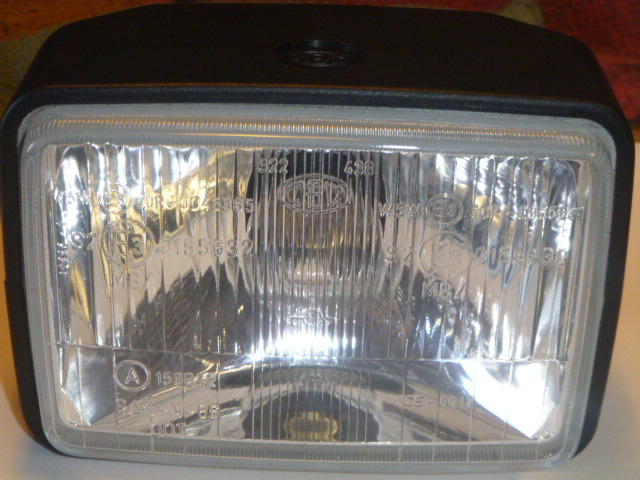 Any metal-backed sealed beam headlight can have a hole cut in the back. 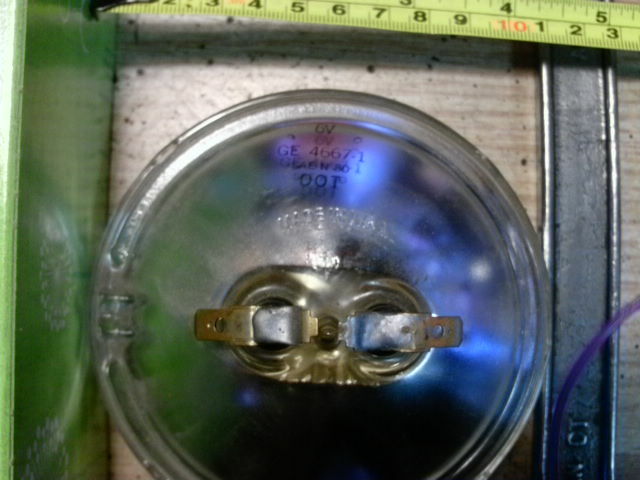 The hole allows a snap-on bulb socket to give access to the bulb. Then when the bulb burns out, the entire glass does not have to be changed. This is a big advantage. Myrons can perform this procedure on your burned out sealed beam, as long as it has a metal back, not glass. 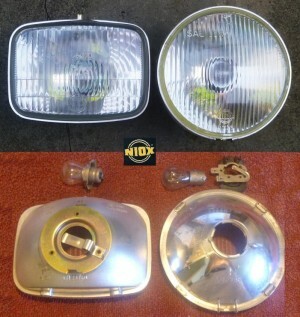 At right is an original Honda Express headlight before and after the conversion. When Myrons Mopeds performs this, the wires are transferred over so they still plug in the same way as before. The high and low beam wires are connected together, so the hi-lo switch does not change anything. The benefit is there are many bulb choices that are inexpensive and easy to get. The snap-on bulb socket can be ordered separately. It has spring loaded wings that hold it in a one inch hole. That is the size just big enough to pass a #1156 bulb through. This has only one wire. 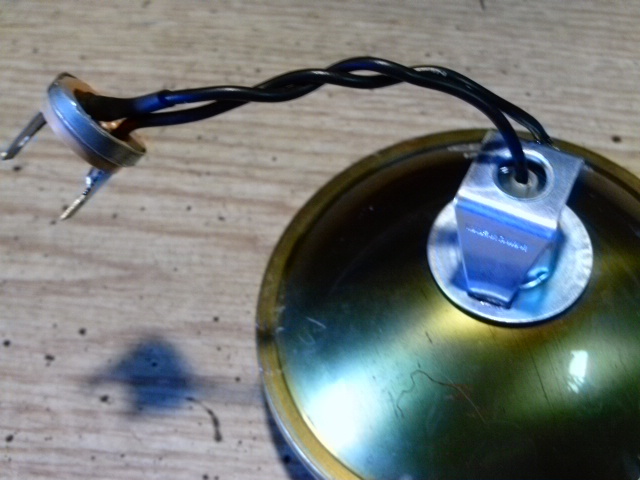 Must solder on a second wire. then the bike wires will remain the same. CEV 4.5 inch round headlights, with metal backs, can be converted. Two examples are shown above. 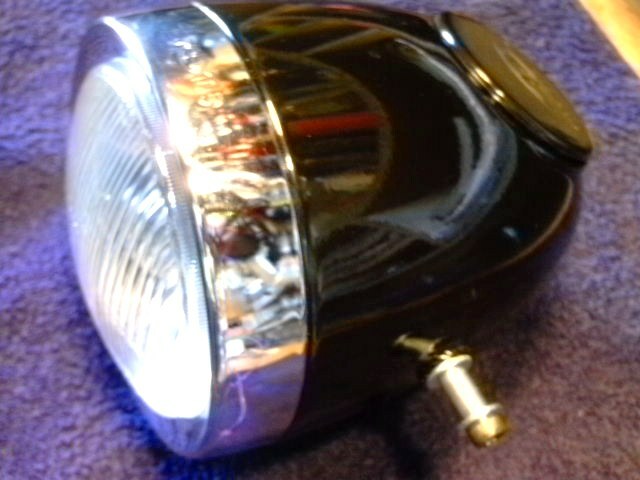 So can vintage Japanese headlights with metal backs, like most 1970’s -80’s small Hondas and Yamahas. The conversion/upgrade costs $30 for parts and labor, plus return shipping $9 (to USA). Takes about one day. Mopeds frequently burn out bulbs, from both vibration and surges of electricity. Because there’s no battery, the voltage varies a little. At idle the lights are very dim, but at full speed they’re bright. Hopefully they’re not bright white, as that means they might burn out soon. Yellow is good but orange is too dim. Head light: For some reason, many old 6 volt mopeds need 12 volt bulbs, or else they burn out. Some might even need a 12V AC voltage regulator ($25) added on in addition to 12V bulbs, to help prevent bulb burn out. All 6 volt mopeds can use 12 volt headlight bulbs, but the headlight is dimmer. On most 6 volt mopeds (with head and tail powered by same wire) using 12 volt headlight bulbs, the tail light is brighter. On some 6 volt mopeds using 12 volt headlight bulbs, the tail light is dimmer. 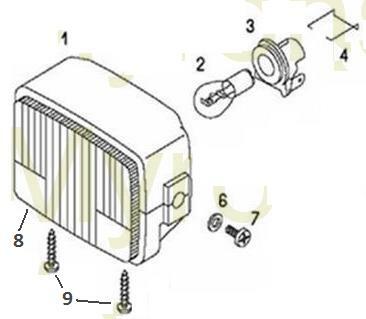 Tail light: European mopeds with 4-coil Bosch 90mm magnetos, like 1977-86 Puch, or 1977-79 Batavus, need a 6V 21W headlight bulb instead of a 12V 26W #1156, in order for the tail lite to be bright. Brake light: Some bikes have issues where the brake light is needed for the ignition to function. On those with a single 2-filament bulb, they might loose spark when the brakes are applied with a 12 volt #1157 bulb. Then they need a 6 volt #1154 light bulb. On those with two 1-filament bulbs and a secret hidden resistor inside (connected in parallel with the brake light), they normally do not loose spark when the brake light bulb is wrong, burned out, disconnected or missing. See tail lights. Battery power: Large motorcycles and cars have headlights powered by battery. With a battery the voltage is steady and limited. Those lights do not burn out often (except maybe from vibration). When several lights are powered by one battery wire, and one of them burns out, the others are normally not affected. Generator power: Small motorcycles and mopeds have headlights powered by generator. With a generator the voltage rises and falls with engine speed, and can become too high at times. When several lights are powered by one generator wire, and one of them burns out, the others get more voltage and become brighter. Then soon they also burn out from that over-voltage. For example, you are riding along and you speedometer light suddenly gets brighter. That might mean your tail light just burned out, and soon the head and speedometer light will follow. Watts matching: With generator power and without a solid-state voltage regulator, for each generator output wire, the total watts of all the bulbs powered by that wire must match the rated watts of that generator output. Generators (magnetos) usually have more than one lighting output. 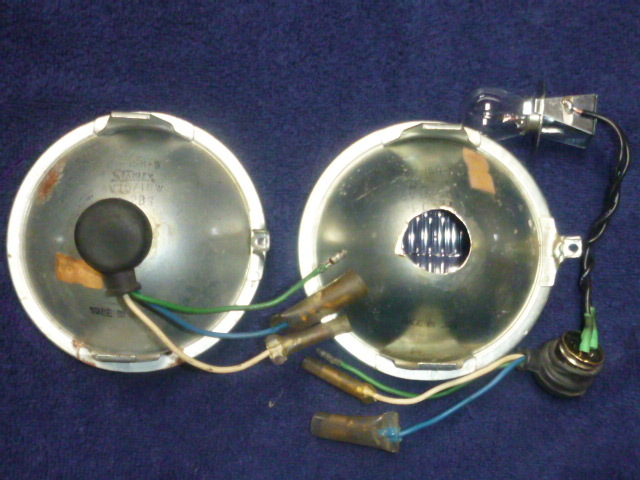 For example a 1977 Batavus has a 6-wire Bosch magneto with 3 lighting outputs 6V 5W (for 6V 5W bulb), 6V 10W (for 6V 10W bulb), and 6V 22W (for 6V 21W plus 6V 1.5W bulbs). When the correct bulbs are used, the watts match. Then the lights are not too bright going fast, and not too dim going slow. Voltage regulation: Bulb watts matching and multiple lighting outputs became obsolete in the 1980’s with the advent of low-cost efficient and reliable solid-state (electronic) voltage regulation. A regulator makes the generator behave like a battery, with a maximum voltage limit. Some makes had this earlier in the 1970’s, like Motobecane. Under the headlight was a 2 inch box with cooling fins. A thing that looks like a 80’s power transistor is screwed into it. It is actually a dual zener power diode, that regulates in both directions for AC, in this case 6 volt. It limits the voltage to below about 7 VAC. Almost all modern AC voltage regulators are 12 volt, since 6 volt equipment also became obsolete in the 1970’s and 80’s. C.E.V. head lights, made in Italy by Fratelli Pagani (Pagani Brothers), are on many Italian motorcycles, most European mopeds, and all Italian mopeds (US models). The moped size is “Tipo 105” which is 105mm at the lip of the glass, and 112mm at the edge, which is 4 1/2 inch. This size sealed beam bulb is also on farm equipment and auxillary vehicle lights. Far right, a CEV 2158 “bullet” headlight. It comes with a block off plate over the speedometer hole. 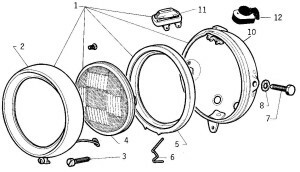 Most European moped speedometers fit into the hole, such as CEV, VDO, Huret, Veglia. Japanese made Tatung speedos are too small. besides the beautiful classic look, hiding most of the wiring inside, the glass fixture features a replaceable bulb socket, a big benefit. With sealed beam headlights, when they (often) burn out you have to buy a whole new glass, that’s both expensive and difficult to find. 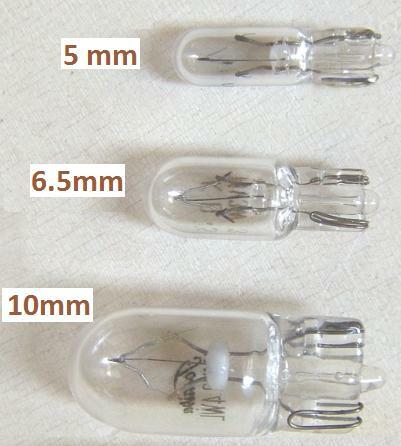 But with a non-sealed beam (replaceable bulb) fixture, you can change the small 15mm bulb inside. 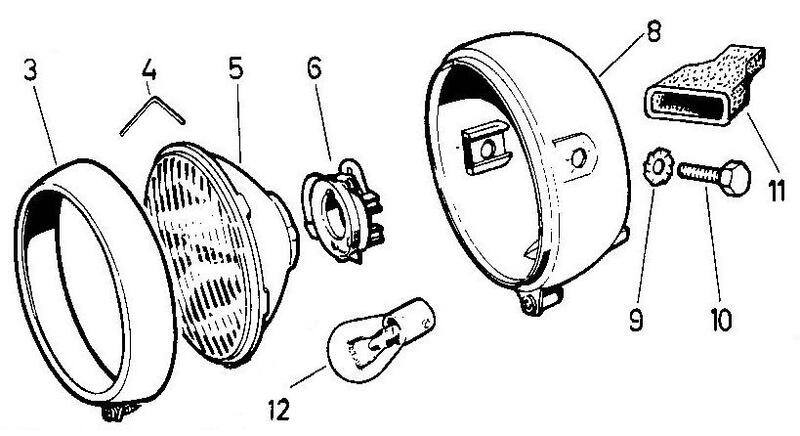 It’s a common automotive bulb #1156 (12V 21W) or #1129 (6V21W). You can get an 1156 at all night convenience stores for $1 or $2. Another benefit is you can run an LED bulb, or any 1156 compatible. That’s a single prong bulb. No high beam, just low. Both CEV and Saturnus made rectangular head lamps for Tomos mopeds in the 1990’s and 2000’s. They use a large base 12V 25/25w BA20d hi-lo bulb. They are wider than the older round lights, but not as tall. Note how the CEV glass has lots of certifications on it, including SAE and DOT. Then notice how the Saturnus glass has only the E10 certification. Luxor head lights, made in France, are on all Motobecane and some Peugeot mopeds. The bezel/ring and clips do not interchange with CEV. 1 60400 Luxor headlight complete n.a. n.a. Niox German-made head light fixtures are made for ULO German-made rings, housings, and clips. They do not interchange with CEV. 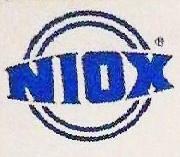 On 1970’s US mopeds, a Niox 4.5″ round head light in a ULO housing was original on 1978-81 Puch Magnum. Niox square headlights were on 1984-86 Puch Maxi Sport LS, Maxi Sport LS II, Cobra, Cobra II, and Austro Daimler. ULO-housed Niox round headlights were also on some German moped makes like Solo (Odyssey in US). Every other German, Austrian, or Dutch moped had a CEV headlight. 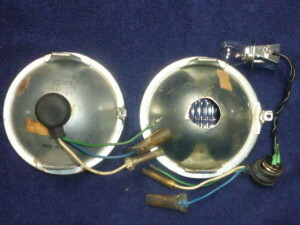 Taiwan head lights, made in Taiwan, are on General, Angel, Indian, etc. The rim does not interchange with CEV. The Taiwan spring “W” clips are different than CEV ones. You are currently browsing the archives for the Bulbs category.